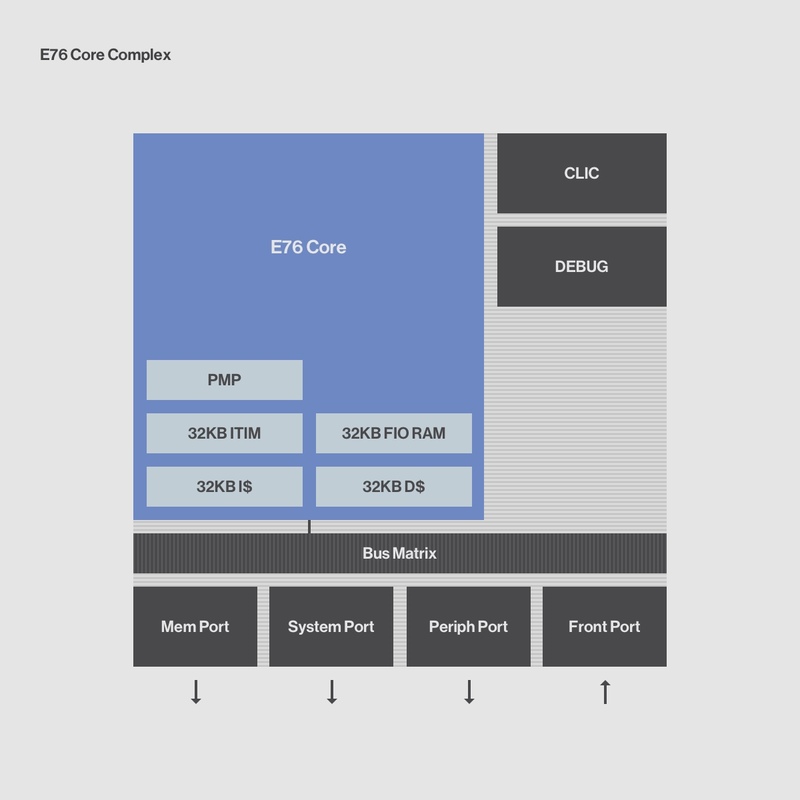 The SiFive E76 Standard Core is a high-performance 32-bit embedded processor which is fully-compliant with the RISC-V ISA. Its advanced memory subsystem enables inclusion of tightly-integrated memory and caches. The E76 is ideal for applications which require high performance -- but have power constraints (e.g., Augmented Reality and Virtual Reality , IoT Edge Compute, Biometric Signal Processing, and Industrial Automation). The E7 Series offers a 32-bit embedded processor targeting applications that require high performance while maintaining energy efficiency. The E7 core has a superscalar 8-stage in-order pipeline.